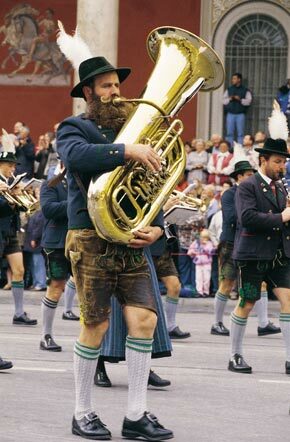 Munich, the capital of Bavaria, idyllically located at the foot of the Alps, is famous for the Oktoberfest and very popular because of its relaxed atmosphere. Marienplatz with its impressive neogothical city hall, only 3 minutes walking distance from out language school, is the actual centre of the city. 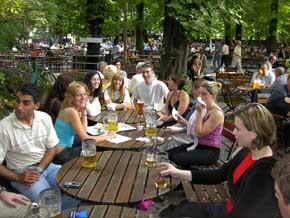 Here you will find the ideal conditions to study German in Munich. 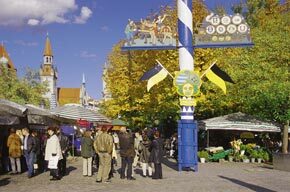 Sightseeing tours, starting from Marienplatz, show the visitor numerous baroque churches and neoclassical buildings from the early 19th century and the Nymphenburg Castle with its wonderful park. In summer you can find new friends in a beer garden, relax in the English Garden or enjoy one of the many lakes in the vicinity of Munich. 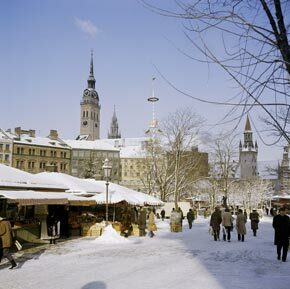 In winter you can go skiing in the nearby Alps or go sledging in the Olympia Park. The Christkindl M�rkte are very popular, where you can experience the traditional Christmas atmosphere and buy nice presents. Whether you would like to visit a soccer match in the famous new Allianz Arena, the sporting facilities on the Olympic site or exhibitions in museums and galleries - Munich has a lot of opportunities and will soon become your new home.